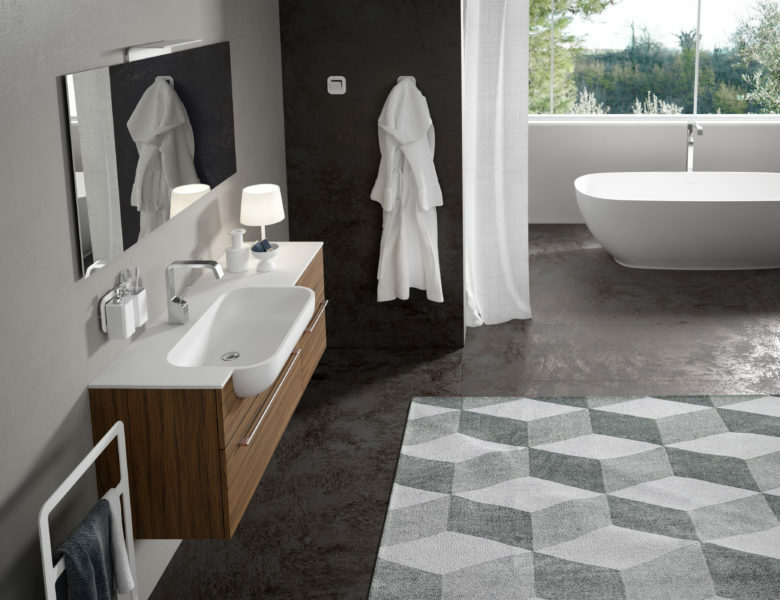 This large bathroom furnishings program is characterized by the uncluttered design for the elegance and extreme ease of use of the large semi-recessed washbasin. 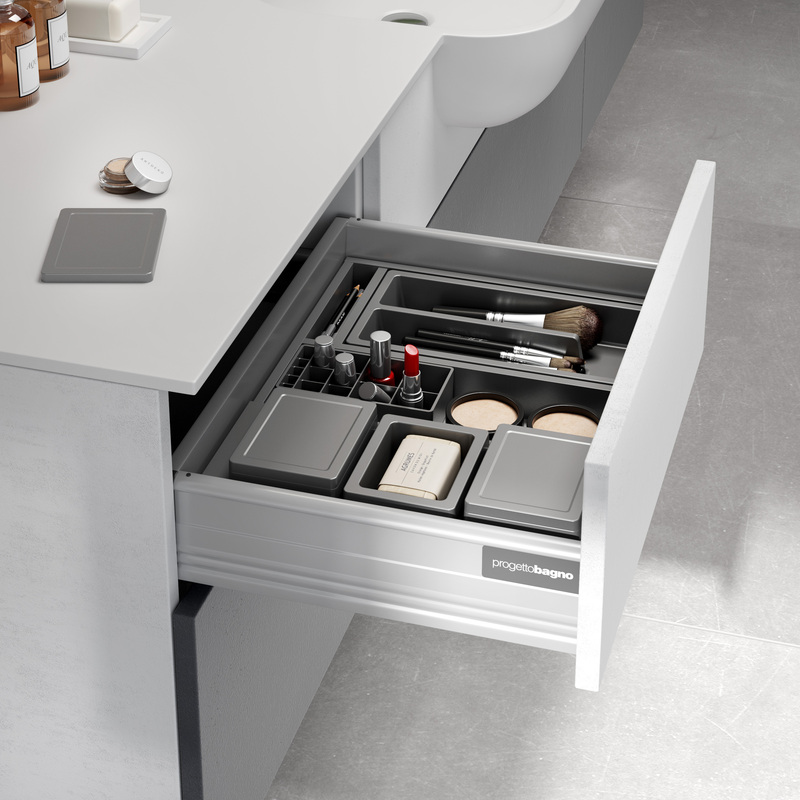 Full modularity of the bases with two depths (35 or 40 cm) and different heights, It allows us to satisfy any furnishing requirement, even in very small spaces. 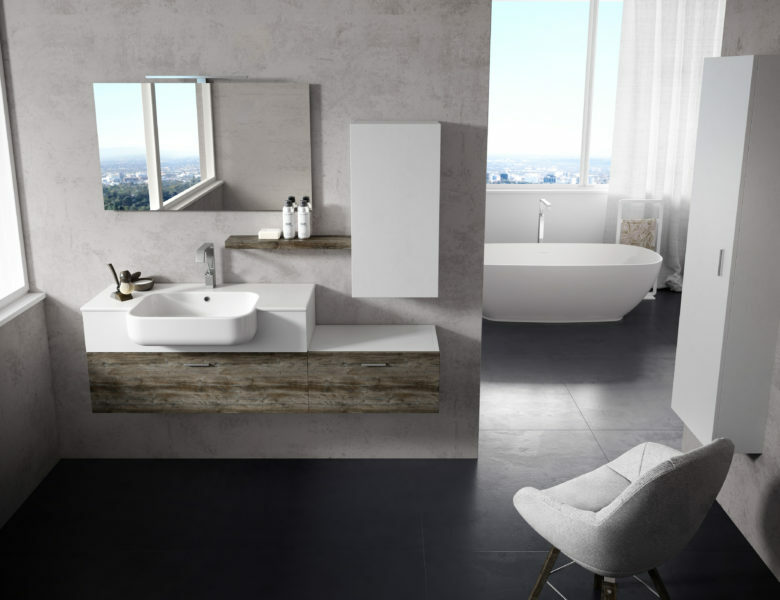 Great ambiance bathroom with furniture of different heights, white lacquered and aged wood effect "Old wood"
Important and minimalist bathroom composition of the ZEUS collection 200 cm long. Top with large semi-recessed sink made of matt white "Solid Surface”. Furniture with two colours panels in "Plamky" with material effect. 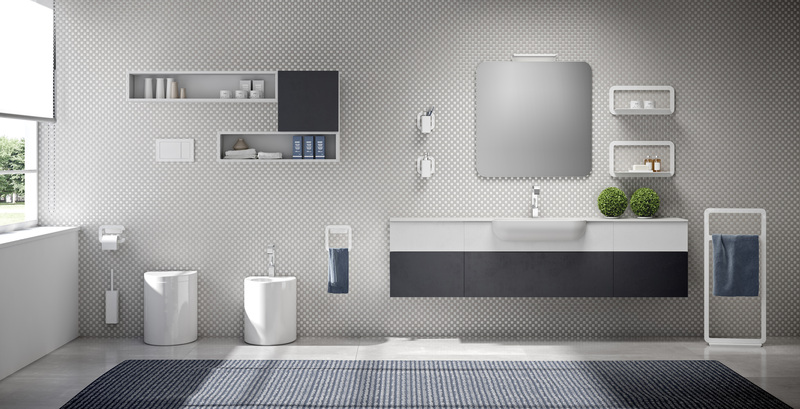 Elegant bathroom accessories of collection "Q line" in white steel. 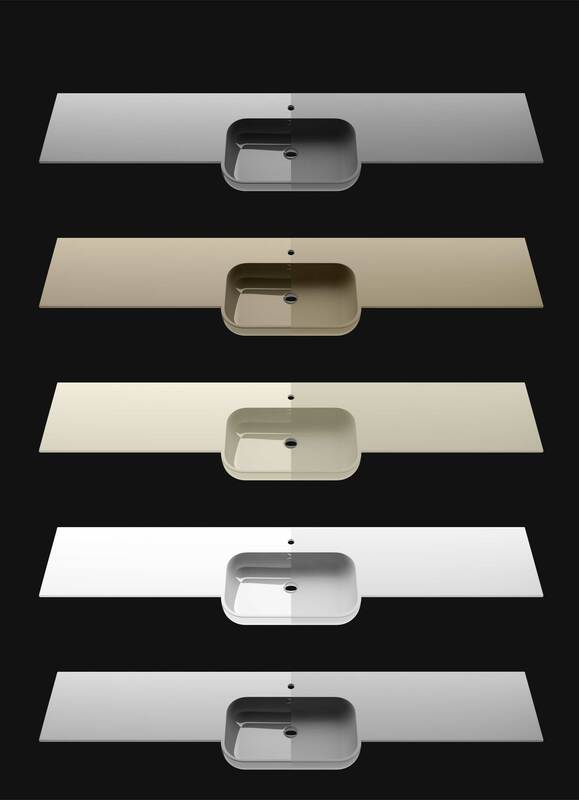 Top view of the " light " bathroom composition, with the ZEUS top and semi-recessed sink in “ Solid Surface “ grey colour. Furnishing with panels made in gray " Plamky" with material effect type "Ecomalta"
Spacious and functional bathroom with an adjoining gymnasium with relaxing panoramic view. 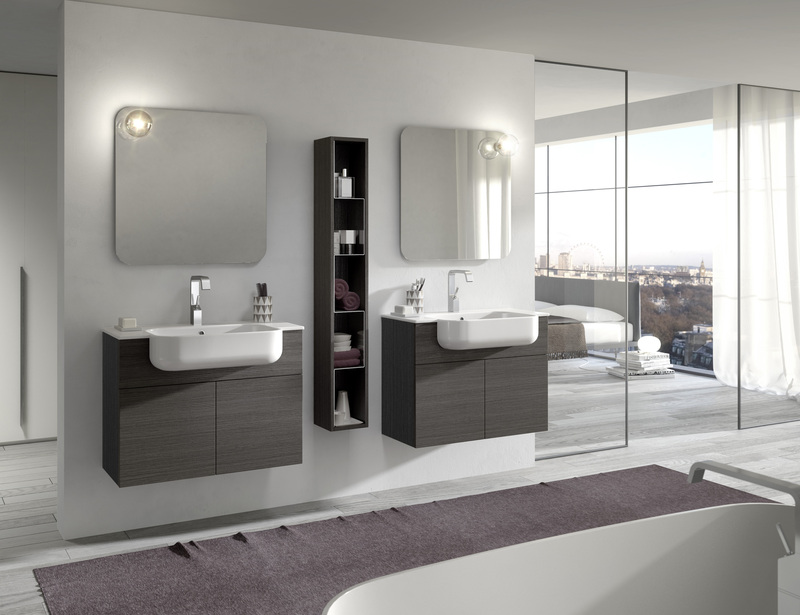 Furniture of the ZEUS collection with practical and elegant top with semi-recessed washbasin. 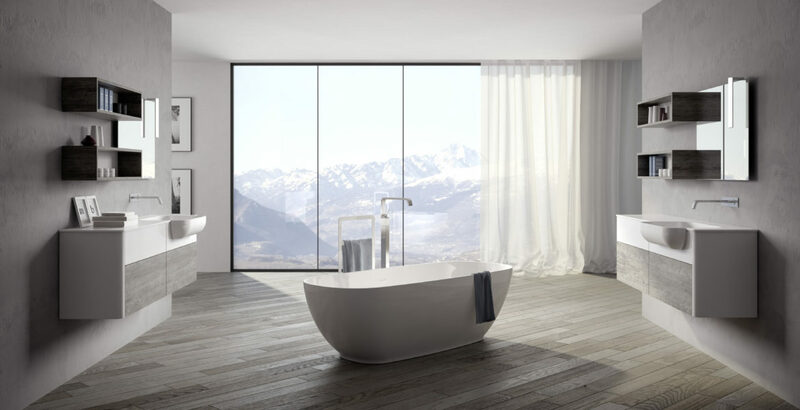 The freestanding bathtub and the wall equipped with capacious furnishings, complete the ensemble. 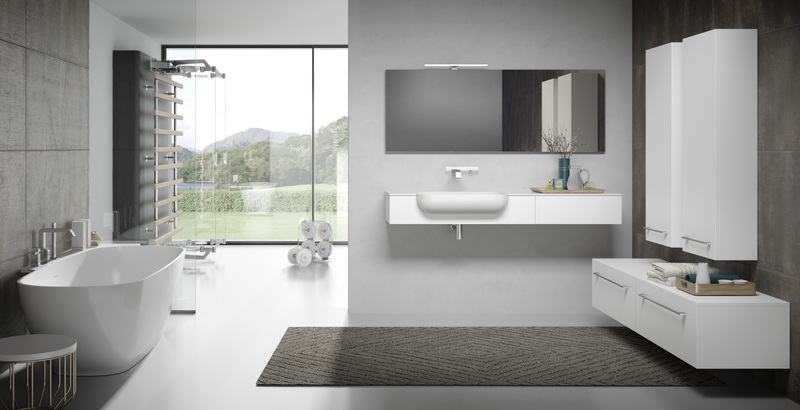 Functional set of furniture of the ZEUS collection with top and integrated ceramic washbasin 81 cm long. Furniture in laminate matrix effect gray oak wood. Elegant and practical wall unit " Reverso" with minimalist design with shelves in brushed stainless steel. 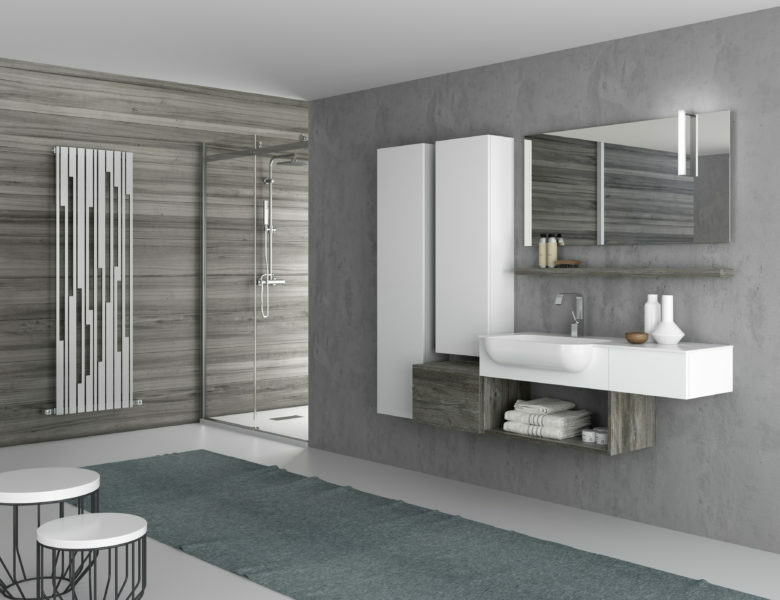 Comfortable bath room decorated with ZEUS cabinet length 120 cm in rosewood laminate wood effect. Base cabinet with deep drawer and side panel with door. Protruding basin for extreme everyday practicality. 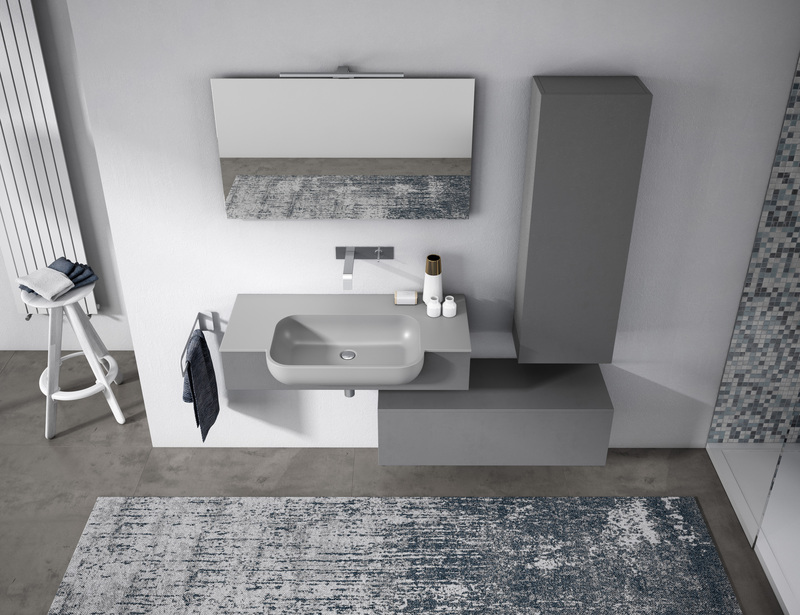 Dynamic composition ZEUS 160 cm long, with ceramic sink 101 cm Furniture depth 35 cm in two colours, matt white lacquered panels and the lower in aged wood effect "Old wood"